CuriousBytes: IDLE games are quite fun and easy to play. They are some of the best games to spend leisure time. There are many Idle games out there for different platforms like Android and iOS. Here below we have curated some of the best IDLE games for Android and iOS. This list will help you discover the best Idle clicker games. Are you bored of playing the modern day shooting and action games like PUBG? How about playing some really cool games that will reward you greatly without doing anything but just simply tapping? Wondered about what we are talking about? We are talking about Idle games. Idle games are also called Incremental games or Clicker games. These games are simple games that can be played when you are Idle. Idle games have very simple gameplay. Incremental games gained popularity in 2013 after the success of Cookie Clicker, although earlier games such as Cow Clicker and Candy Box! were based on the same principles. How to Play Clicker games? As a player, all you need to do is to simply keep clicking or tapping on the rewards. In some games, even the clicking becomes unnecessary after a time, as the game plays itself, including in the player’s absence, hence the moniker “idle game”. Why should I Play Idle games? Idleness allows you to turn a situation from boredom to pleasure. This might be the question that immediately pops in everyone’s mind who learn about idle games and their gameplay. Though there are many games that are more advanced and way better than these simple clicker games, Idle games have a very interesting point that attracts gamers to keep playing these games. Very Importantly some Clicker games are designed in such a way that they assist in learning wealth accumulation and wealth management techniques. That hypnotizing background music keeps you focussed on the game thus helping you in improving your concentration. So check out the best clicker games and learn the art of investing and saving. Down below we have classified the list of best clicker games based the platform. You can check best Idle games for Android and Best Idle games for iOS. Additionally, if you spend most of the time using desktop you can also play these simple games right in your browser on PC. So don’t miss to check out the best idle games for mobile. Merge plane, the name itself defines the gameplay. All you need to do is simply merge the planes to create new planes. The more you merge the better you earn. As you merge, new planes they level up every time and planes with a higher level on more coins per second. These planes as they rotate across the track earns you more. You can earn additional coins from bonuses and in-game rewards. Merge plane is an addictive game that lets you win more with just simple swipes and taps. Idle Miner Tycoon is another best simulation game in the genre of Clicker games. It is an Idle game which blends investment and business concepts inside an easy idle game with stunning visual graphics. You can become a mining tycoon inside the Idle miner tycoon game. It is an Idle clicker game that features a mining theme. The game lets you mine gold nuggets in the game and you can get rich. If you can carefully plan your Idle profits you can even become an Industrial tycoon. You can hire managers and automate the entire workflow. Being a player all you need to do is to plan and scale up your mine carefully. With just simple taps you can sit and enjoy playing this game. You can even expand your mining empire by conquering other mines. Can automate the game at a certain point by hiring managers. Boost and rewards stay for a longer time period. Works even when you leave it away. Same gameplay throughout the entire game. Do you have entrepreneurial thoughts in your mind? Remember Elon Musk who owns several companies and manages them simultaneously and turned them to top companies? Well, now you can even be a successful entrepreneur like him. Cash Inc is one such Idle game which helps players to boost their entrepreneurial thoughts. It helps kids learn about business skills. It is a good Idle game for kids to help them learn the concepts of entrepreneurship. The game allows you to start a small business that sells comics. and with the profits, you raise from the comic store you can quickly launch other businesses like Media store, a Sushi bar, Shoe outlet and many others. You can hire managers to automate the sales and collect the revenue instantly. Just like the business in real life, it is hard to earn coins initially but as you progress in the game you can reap more from your businesses. The game features more entrepreneur concepts like merging selling your business, employing workforce and more. So it is a good game to learn basic business concepts. Built around the concept of business. Not so excellent good graphics. Remember the buzz created by the popular Facebook games Farmville and Cityville a couple of years ago on the worlds leading social networking site Facebook? If you played these games back then you don’t need any introduction to Idle City Empire, which another clicker idle game with a similar theme. The game looks like an intersection of CityVille and idle clicker games genre. Idle city Builder is an Idle game and a city building simulation game. All you need to do is to plan and construct a marvellous city and become a billionaire as you own the city. If you played the community-based Cityville, then you will surely love this building simulation idle clicker game. It is really a fun game to play. The more buildings you construct the more you can earn in the form of coins. Unlock more building and grow your city. You can also upgrade the level of buildings so that they can earn more. A worthy game to enjoy during free time. Few crash issues and bugs. Egg, Inc is a futuristic Idle game. Yes, it is futuristic the game isn’t just another Clicker game. It has a lot more up in its sleeves. It is one of the few clicker games that can be enjoyed in Augmented Reality. Don’t be surprised it works with Google’s ARCore technology and can be played on supporting devices. All you need to do is to simply build an egg farm, hatch Chickens and sell the Eggs. You can build a beautiful Egg farm in the world. The game also allows you to automate things using modern technologies like drones and by hiring drivers to sell eggs. You can also upgrade your hen houses and farms to earn more Eggs. In the game, you can play and research to find the best way to make hens lay more Eggs. Recommended: Google Claims Pixel to be the Android with iOS Security, Here is why? Definitely, it is an interesting casual game with more super cool tech inside it. Give it a try and you would definitely enjoy the experience. BTW what came first? The Chicken or the Egg? We hope you may find the answer by playing this game. Just like Farmville. Idle Farming Empire is also a similar game with Idle tap game concept. Idle Farming Empire and Idle city empire are from the same developer and they have few things in common. Unlike Idle City Empire, Idle Farming Empire lets you raise a farm, reap the crop and sell it to earn game cash. In Idle Farming Empire, players have to raise a farm, collect the crop and cash it. Not only cropping players can also raise goats, rear cattle, chicken and pigs. They can upgrade the farm to earn moreExplore different farms and become a farming tycoon. The entire farm can be set on automated mode. Few bugs related to in-game rewards. Just like idle games, you can become rich in this game by selling honey collected by bees in your game. It is a bit difficult to play as it needs continuous swipes and taps. It keeps you engaging all the time. The involves users to construct beehives to collect honey for selling and earning coins. The more hives and bees you own the more honey you can collect. You can also unlock different bees like robot bees, Dragon bees and can choose from 100+ different and cute little bees. You can also become a Bee Master or a Queen. A bit clumsy and difficult to play. These are some of the best Idle games with modern graphics. Most of these games are below 100 MB and they should work flawlessly on any modern smartphones. The best part is that these games don’t consume hardware resources intensely. Your device is safe and will not outperform. Finally, if you are still not able to come to a verdict in choosing a best idle game to start with let us help you in deciding. Merge plane is a good idle game for kids and teenagers as it is purely meant for entertainment. It has rich graphics with beautiful game themes. Idle miner Tycoon, Idle City Empire and Idle Farming Empire are best clicker games with a similar game theme which are very famous. Cash, Inc and Egg, Inc is one of the best Idle games for Kids to teach basics of Entrepreneurship. If you love challenges Bee factory is an Idle game meant for you. The game requires you to be a multitasker as you have to manage several bees at a time. Previous story How to Check Gmail Login History Instantly? 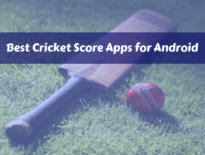 Android	Best Android apps to know Cricket Score!